1. 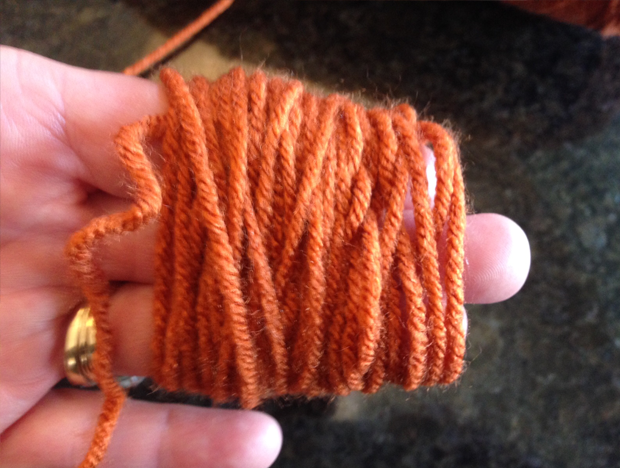 Hold the end of the yarn against your thumb as you begin wrapping the yarn. After a few wraparounds, you should be able to let the end go and continue wrapping. 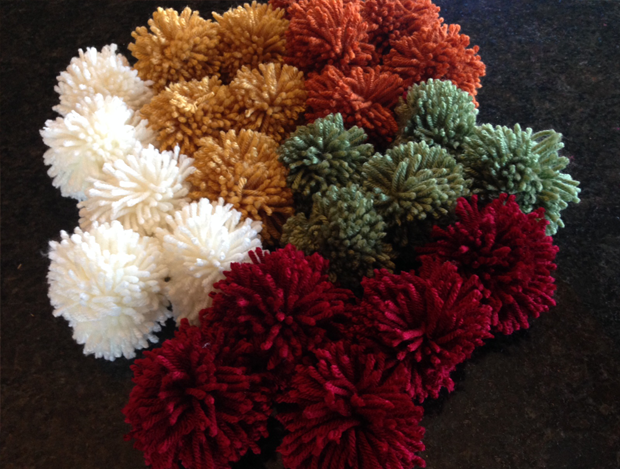 To size the pom poms by fingers: 2 for small, 3 for medium, and 4 for large. 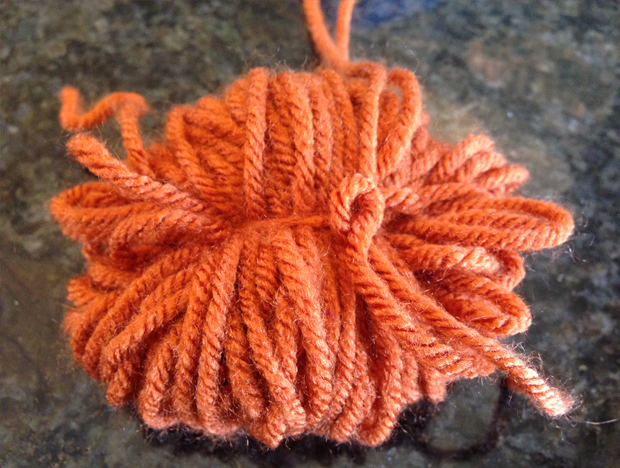 Try not to wrap the yarn too tightly, or it will be too tight and you won’t be able to slip the yarn off easily. 2. 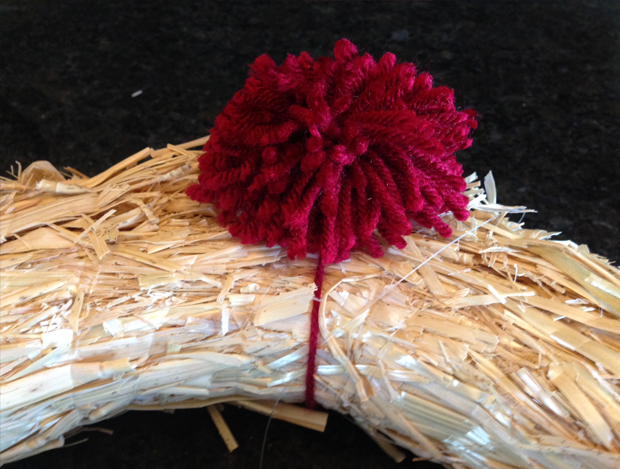 The more times you wrap the yarn, the fuller your pom pom will be. 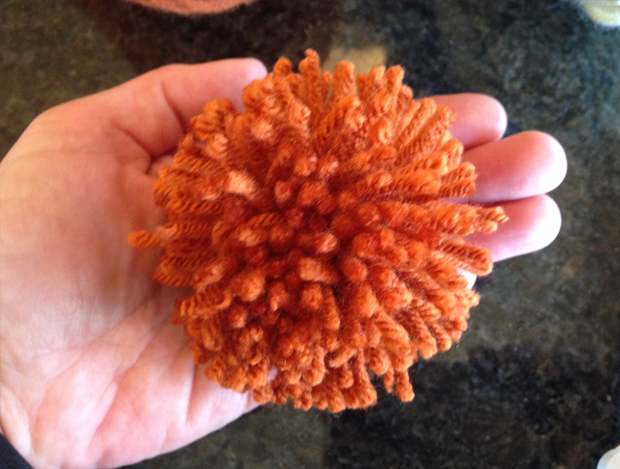 For small pom poms, wrap between 50-75 times; for medium, 75-100; for large, 100-125. 3. After you have finished wrapping the yarn, carefully slide it off of your fingers. 4. 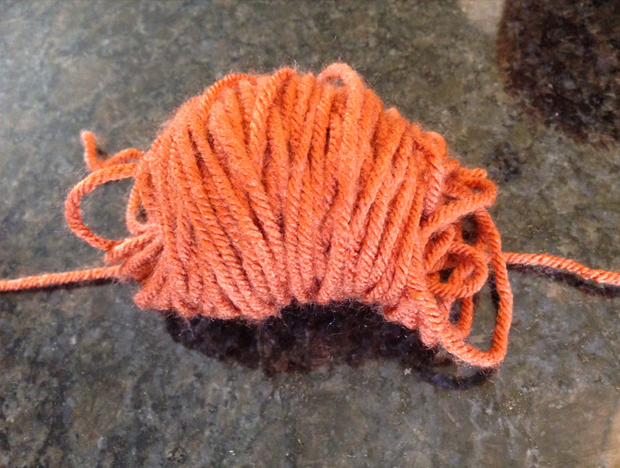 Cut a piece of yarn about 5- to 6-inches long to use as a tie. 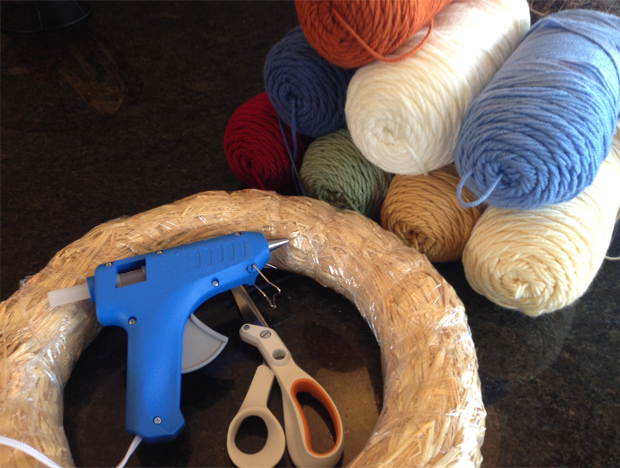 Place the wrapped yarn on top of the cut piece, trying to center it as much as possible and tie a knot very tightly. 5. Cut the top of the yarn loops the entire way around. 6. 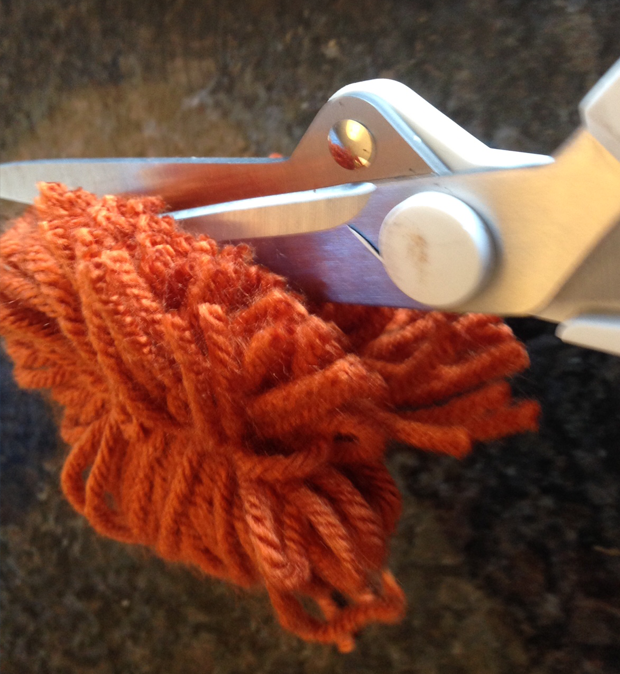 Trim off the longer pieces of yarn until you see a perfect little pom pom shape. 7. 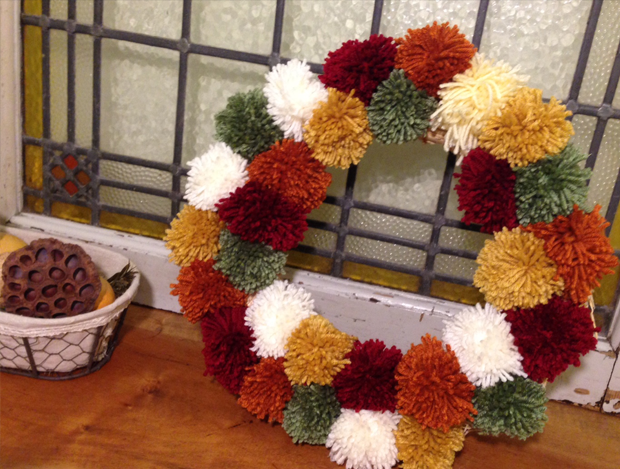 Here I have 25 pom poms, but if you would like it fuller, double that in size for this size wreath. 8. Tie in the pom poms in rows alternating the colors. There's a lot of poms and it takes time, but it's worth the wait and the yarn goes a long way - make some more for a gift. I'm sure they will love it. Andrea Atwater brings her expertise with Craft Attitude film to life with her unlimited creativity. Her portfolio is chockfull of DIY home accent projects, crafts for kids and many thoughtful gift ideas. When Andrea was first introduced to Craft Attitude film, it was all about custom shoe designs. That concept won the CHA 2012 Best Innovative Idea. Today, Andrea continues to make inspired Craft Attitude projects as well as many other fun crafts using a wide variety of materials that can be found right here on CraftAttitude.com.